Why do you currently compare Stronglifts with the Texas method? Do you want to get stronger? Do you want to pack on muscle? Are writing a dissertation about Mark Rippetoe, who claims to be the inventor of the Texas method and starting strength? Whatever brought you here it is important that you have clear goals. If you are all about looks you will be in for a hard time. Looking like Arnold and Thor is not a part-time job. You have to be disciplined about your food, sleep, and training. The main ingredient will be your diet. How much and what you put in your mouth will determine how close you’ll get to getting ripped. The easiest way to make your abs visible is to starve yourself out. That is why many skinny teenagers have a six pack even though they can’t even lift their little sister. The choices you make to attain the glorified Hollywood figure will not always be healthy or help your performance on the pitch. But at least you will look great. Performance is a different interest in fitness. If you are all about winning you will be meticulous about which exercises you pick. You will look for the exercises with the biggest carryover to your sport of choice. The main ingredient for your success will be the intensity you put in in the gym. Injuries will be common and you will know how to deal with them. Your choices will not be pretty or healthy at all times. But you will be happy when you have achieved your goals after all the blood, sweat and tears. The last group of interest is health orientated. If you belong to this group your main focus is a balance. You will travel the middle road and avoid the extremes. This avoids being stressed or getting injured. Which is good for you. You like to sip your tea and enjoy life. Life is too short to kill yourself over material things. As you are comparing Stronglifts and the Texas method you probably lean more towards performance and looks. Between these two most likely a little more towards performance over looks. Otherwise, you would be comparing Stornglifts with bodybuilding or German Volume Training. Stronglifts is one of the most popular beginner lifting programs in the market. Its popularity is based on its simplicity and good marketing positioning on the Internet. You will squat each session. All other exercises will be rotated from workout to workout. Apart from the deadlift, you will do 5x5 for a total of 25 repetitions. The deadlift is programmed in at 1x5. All exercises start from an empty bar except the row and deadlift. Once you complete a 5x5 complex successfully you move up in weight. If you fail to complete a complex for a particular exercise more than three times in a row you deload. The free Stronglifts 5x5 app is a good way of tracking your progress. The biggest advantages of Stronglifts 5x5 are its simplicity and clear progression. You will always know whether you are doing well or not. The all also takes the guesswork out of what to do in the gym. This keeps especially beginners motivated. The biggest weaknesses of Stronglifts are its lack of specificity and marketing. 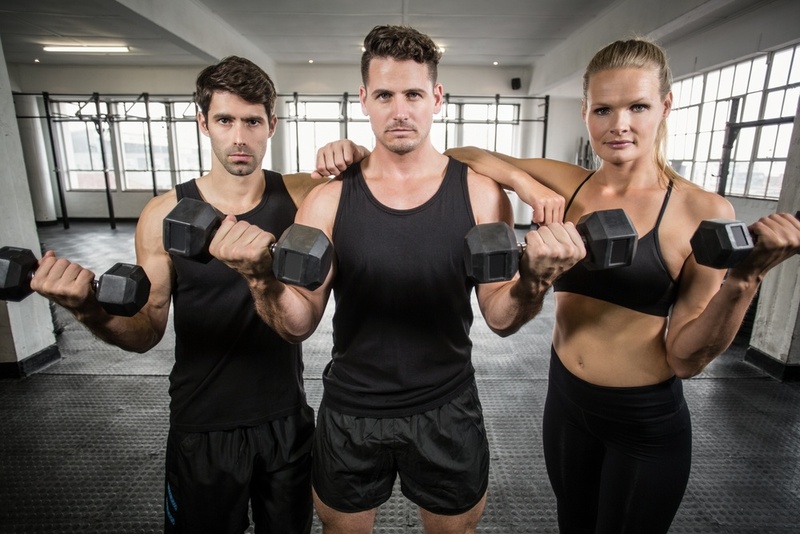 Stronglifts is great if you are in your teens or only twenties and middle-sized. If you are very small, big or older than that the program is not specific enough. Very small individuals will overtrain very quickly while big boys and ladies will undertrain. If you don’t have the luxury metabolism and testosterone levels of puberty you need better diet advice than on the Initial Stronglifts articles you will find. The marketing is not necessarily wrong. It just makes too optimistic statements for the general public. The idea is that your workload can not increase from workout to workout anymore as you have matured as a lifter. Instead, you improve week over week by focusing on muscle building in the beginning and strength at the of each week. The biggest advantage of the Texas method is its clear structure. It is quite easy to follow and execute when you know a bit about lifting. At this stage, you will be sufficiently equipped to do the program. The biggest disadvantage of the program is the weekly peaking. You will have a pretty hard workout on Fridays. If you have a bad day and don’t adjust weight the 1x5 at 95% intensity leaves you very exposed to injury. Should you do the Texas method or Stronglifts? Whether you do the Texas method or Stronglifts depends mainly on how much you have been lifting. The two most popular beginner programs out there are Stronglifts and Starting Strength. If you are only starting with barbell work this is the comparison you should make and run one of those for 6 months to 1.5 years. If you have a main powerlifting focus maybe look into the program for beginners from powerliftingtowin as a specialized option. If you are not a beginner compare like for like. The Texas method is generally considered to be the follow-up program to starting strength. The follow-up program to Stronglifts is Madcow 5x5. So if you are comparing programs for intermediates compare the Texas method with Madcow 5x5 to have a more meaningful run up. The differences are minimal. To summarise if you are a beginner with focus on performance do Stronglifts. If you have been training for more than a year and want to change programs do the Texas method. If your main focus is looks stop researching lifting programs and focus on mastering your diet and kitchen skills.